Attending court is very important for all members of medieval society. Dress your best when meeting a noble or clergyman in the Rudolf Wool Coat. Available in two colors, a Renaissance reenactor can wear this unisex wool blend garment with pride. 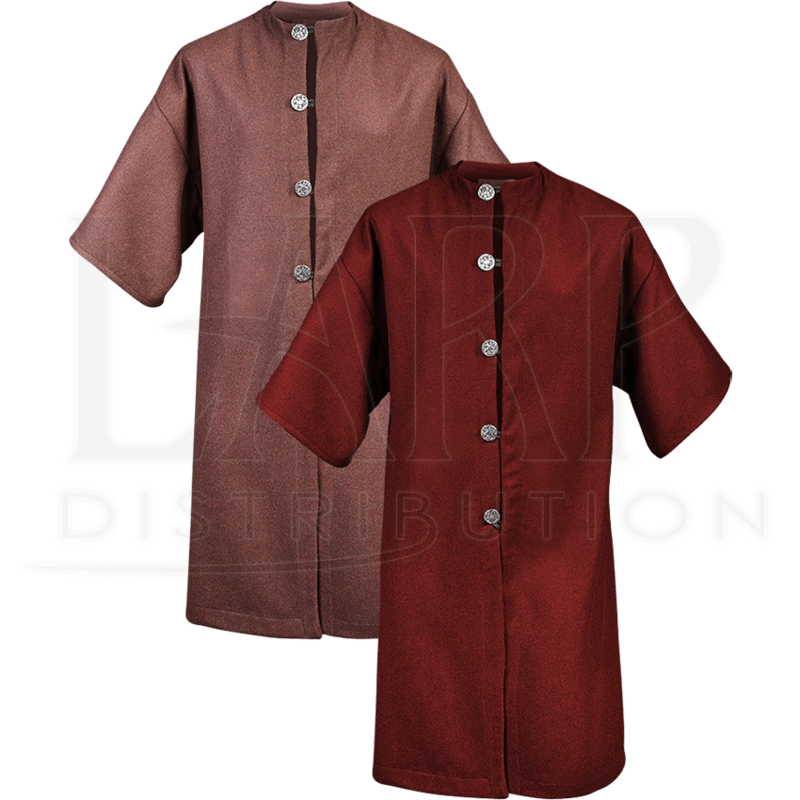 The part length sleeves can reveal longer sleeved garments for multiple costume ideas. A fantastical design faces the buttons. The buttons fasten the short sleeved coat with corded loops from the waist up. 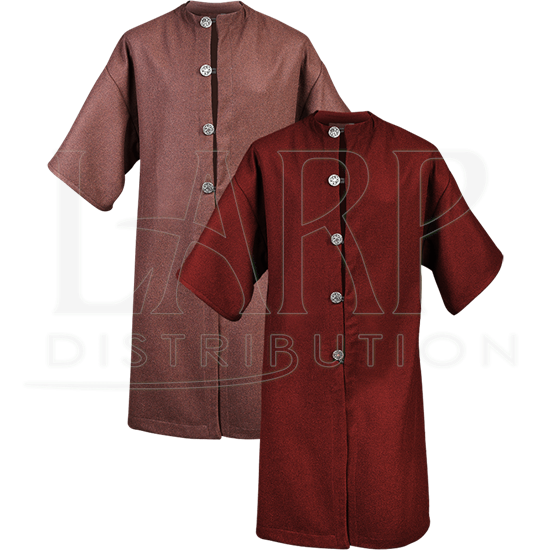 It is ideal for fantasy conventions, historical reenactments, or LARP events.